Ever drive you mad as you always missed iPhone calls? Always keep iPhone next to you for just waiting for an important call? The most common complaint about the iPhone is that the iPhone ringing volume is too low. 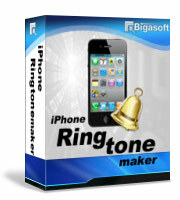 Bigasoft created a program called iPhone Ringtone Maker. You can make and boost iPhone ringtone volume to any desired level for hearing your iPhone rings even at busy workplace or at home with TV on. You will not miss a phone call again. Launch the ringtone maker by double-clicking the program icon on your Windows Desktop. Locate the song you want to make into a ringtone for your iPhone in your music collection or in iTunes. Make sure the song you are using does not have any copy protection. Drag the song into Bigasoft iPhone Ringtone Maker. Hit the "Preview" button to preview your ringer. Drag the "Volume Marker" to any desired level to boost iPhone ringtone volume. Dock iPhone and open it, connect iPhone to your computer through USB cable when you have completed editing. Click "Generate". 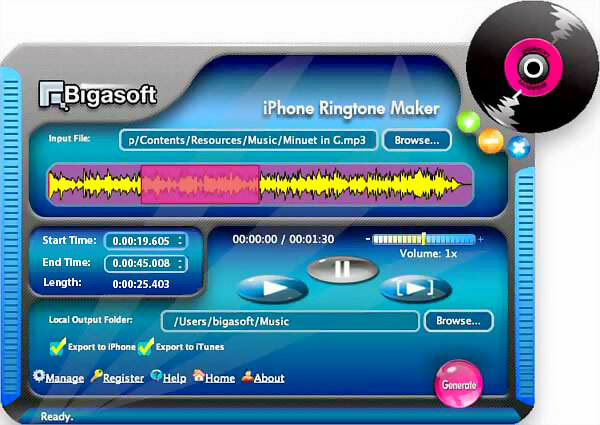 Bigasoft iPhone Ringtone Maker will create the loud ringtone and transfer it to your iPhone and iTunes automatically. It is that simple. You can find Bigasoft iPhone Ringtone Maker at www.bigasoft.com. You will pay a bit for the ringtone maker, while the convenience of a one-click solution is usually worth the cost. As of this writing, the cost of this handy program is $14.95 and well worth it.